Doctor checks a four year boy Mohamed Ag Mohamed, after being referred by health worker who screened Mohamed. The boy had indications of the Severe Acute Malnutrition with complications. 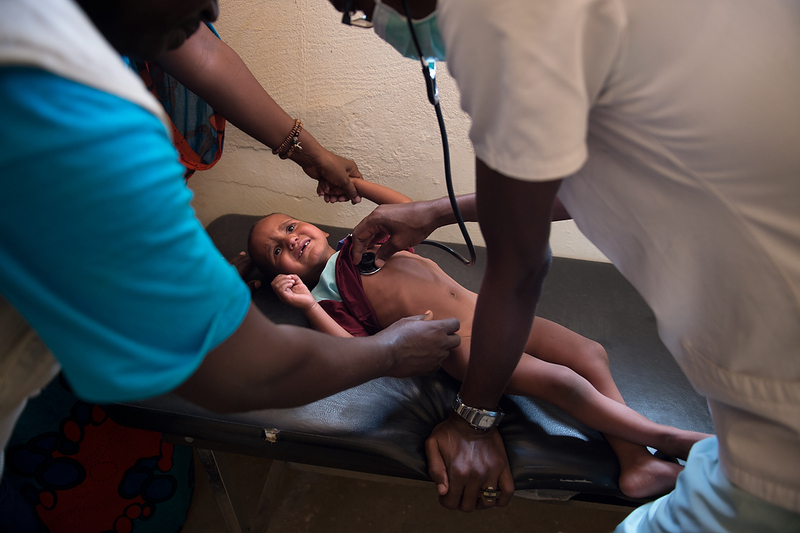 After thorough check up the doctor concluded that Mohamed also suffers from respiratory infection and will be referred for clinical treatment of severe malnutrition and respiratory infection.